Not everyone thinks that bats are cute, many people fear them. I could not resist sharing this picture because it shows that baby bats (and most bats) are not monsters. His large eyes and nose are adorable! 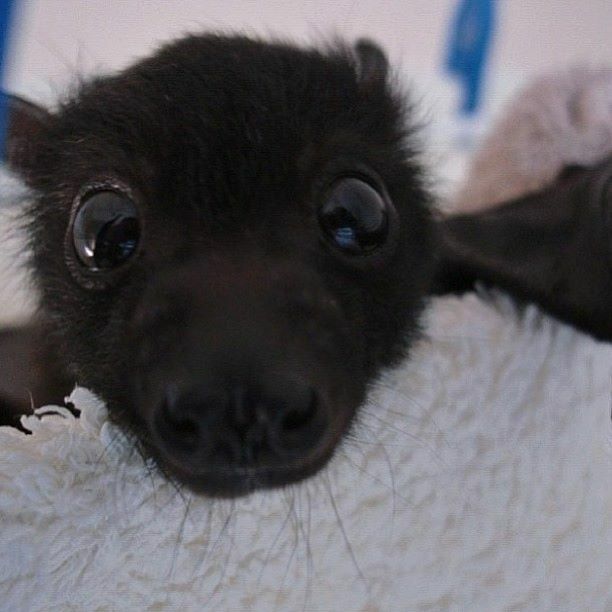 What do you think, are baby bats cute?